When an employee in Maryland gets injured on the job, the negative repercussions can affect everyone. Worker’s Compensation Insurance ensures that both employees and employers are protected in the event of a worker accident, illness, or injury. But what does a business owner really need to know about Workers’ Comp? Read on to find out more, and make sure you are covered. Worker’s Compensation Insurance provides coverage for employee-related illness and injury, regardless of who was at fault. An employee who accepts Workers’ Compensation benefits forfeits the right to sue their employer for damages. This ensures that workers are compensated for their injuries while protecting business owners from litigation that could potentially put them out-of-business or cause serious financial difficulty. What Benefits Do Workers’ Comp Provide? If your employee is injured on the job or becomes unable to work due to illness, Workers’ Comp will cover their medical expenses and a portion of their wages until they can return to work or until benefits reach the amount allowed by law. Workers’ Comp also sometimes provides lump sum or continuing disability payments to employees who become permanently unable to work. And should the unthinkable occur, Workers’ Comp also provides death benefits and pays for funeral expenses. 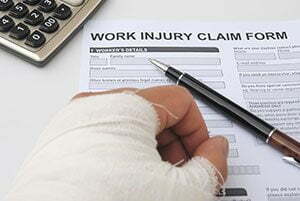 Does Workers’ Comp Cover All Injuries? Workers’ Comp generally applies if an injury happens while an employee is on the job, even if the incident did not occur on work premises. It also covers long-term occupational injuries like carpal tunnel, or illness that occurs from continuous exposure to hazardous chemicals. When Does Workers’ Comp Not Apply? Injuries may not be covered if the employee is intoxicated, if the accident is the result of a fight started by the employee or was self-inflicted, or if the incident occurred while the employee was off the job. Similarly, a worker may be entitled to retain the right to sue a business owner who carries Workers’ Comp if their injury is due to an employer’s recklessness or intentional actions. Am I Required to Carry Workers’ Comp Insurance? Most states require employers to carry Workers’ Compensation Insurance, but some exemptions do apply. If you have fewer than five employees, or if you use independent contractors, you may not be required to have Workers’ Comp. Anyone you hire to work for your company may be considered an employee, however, so be sure to check your state’s requirements. If you happen to live in one of the few states that allow business owners to opt out of Workers’ Comp, remember that by not carrying a policy, you restore your employees’ right to sue for damages should an accident occur. Business owners who choose this option must fill out a waiver in order to opt out. Where Do I Get Workers’ Compensation Insurance? Some states require business owners to purchase Workers’ Comp through specific, state-run programs. But in many states, Workers’ Comp can be purchased from any private insurance company. And just like with any other insurance policy, rates vary, so shop around. Workers’ Compensation regulations and administration vary by state, and the differences can be considerable. No matter the size or scope of your business, make sure you understand what is required in your area, so that you and your employees are protected. For more information about Workers’ Comp or other business insurance, call or contact Consolidated today.